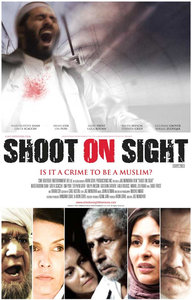 Review Summary: SHOOT ON SIGHT is a sincere attempt that should appeal more to those who tilt towards serious cinema. Of the performances, Naseeruddin Shah is excellent. The others just about pass muster like this Sight on Shoot. Or is it Shoot on Sight? Shoot On Sight is inspired by real life events that followed the 2005 bombings on London’s transport system. The premise is set in London right after the Underground train bombings on July 7, 2005. Set against the London bombings of 2005 the film is a sensitive high voltage diatribe against both terrorism as well as racial profiling. SHOOT ON SIGHT is a sincere attempt that should appeal more to those who tilt towards serious cinema. And yet again, it should be illuminating that the title of the film could very well have been its entire review.